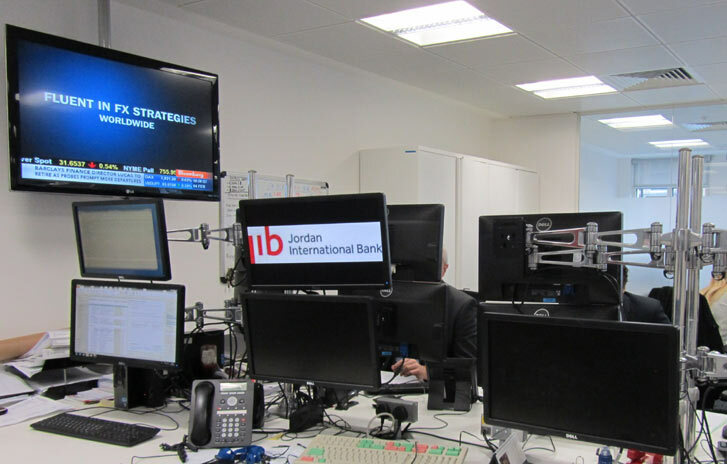 Established to meet the financial needs of a broad international audience, Jordan International Bank is a Knightsbridge [London] based specialist in private banking, treasury, trade finance, real estate and structured property finance. In 2012, CEO Mort Mirghavameddin authorised the purchase of an annual licence for an online employee performance management tool, Dinamiks, after evaluating it with HR firm HR Solutions. The driver for the decision was to help meet the bank’s goal of being “the leading Middle East banking partner in the UK in the provision of private and corporate banking services,” says Mirghavameddin. “Our approach to our customers was becoming increasingly personalised, in response to changing needs in the market and to provide the best possible level of service. Additionally, and notably, the bank also wanted to use Dinamiks to link performance with pay and bonuses – and keep an audit trail of FSA compliance while ensuring strict adherence to the company’s values among all employees, including management. Those values include integrity, a focus on excellence and collaborative team work, being risk aware while aiming to provide superior performance, and commitment to offering clientele a first class banking service. A further use of the tool was to support the competencies of all employees, with the competencies including technical expertise, innovation, leadership, teamwork, business focus and creativity, allowing staff to be allocated work, including projects, according to their competencies, not just their qualifications and experience. One such module is Objectives Weighting, introduced in November 2012, which gives a clear view of the importance assigned to any objective – and the financial or other value of an objective. “Objectives Weighting gives our nominated manager of Dinamiks the edge when deciding why one objective should be given a priority over another, and how pay and bonuses should be awarded,” explains Mirghavameddin. The data used as the basis for analysis of any aspect of Dinamiks – not just Objectives Weighting – comes from staff and the assigned manager answering questions, via tick boxes, on their computer screens, after logging onto Dinamiks. “The manager sends the questions out and will typically assign deadlines by which they must be answered,” says Guilford. Mirghavameddin is confident Dinamiks is delivering what he expected of it. “It has helped to give us a new structure for managing many aspects of how we operate, and ensuring our own standards are met, and FSA compliance clearly understood, borne in mind and met at all times. Our management likes it because it delivers instant views of an individual’s performance and compliance, and supports the competencies of all employees as well as the bank’s values. Where there are gaps or issues, staff can be trained, coached or mentored. He sees the data and analysis coming out of Dinamiks as essential internal business intelligence that can be used to help fine-tune business processes and front office activities, enabling faster and higher quality response times and a more agile and “smart” approach to business. The tool itself uses smart technology to enable users to do what was previously impossible in the world of performance appraisals and management, and performance related pay and bonuses. “Dinamiks is a step change and that allows Jordan International Bank to concentrate more on our business while enabling us to meet our objective of being an outstanding bank in every respect,” says Mirghavameddin.